Please join us as we welcome this legendary artist to Phoenix with his solo exhibition, “Everything’s Not Okay.” Perihelion Arts makes its return to Modified Arts to present the first exhibition of Derek Hess‘s work in Phoenix in five years. 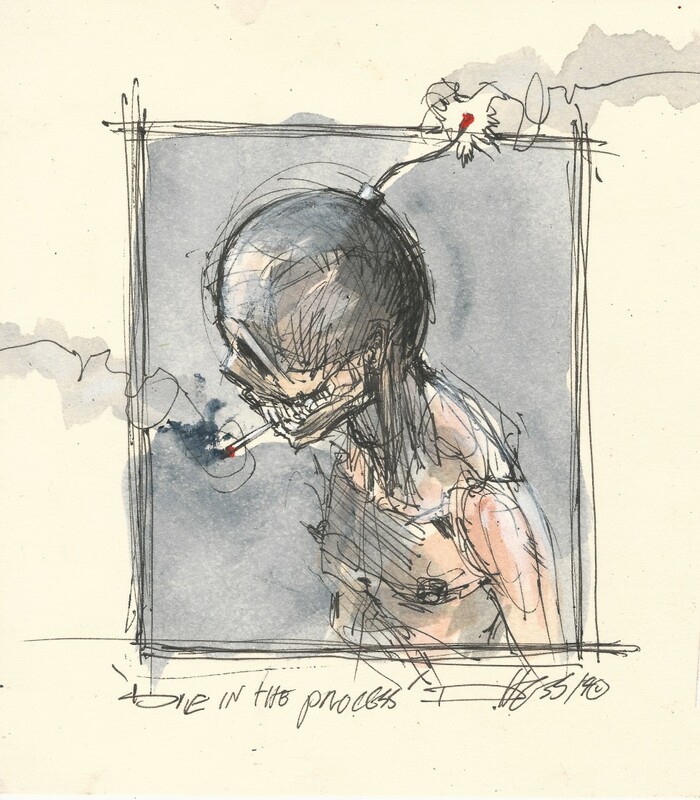 Derek Hess’s work has been recognized in both the music and art world for over 20 years. Hess began creating promo flyers for shows in Cleveland, OH. These flyers soon gained the attention of a multitude of bands as well as the Grammy Museum, The Rock & Roll Hall of Fame and the Louvre in Paris which he is part of their permanent collections. In addition to countless cd covers and gallery shows all over the world, he has been featured on TLC, MTV, Fuse, VH1, Alternative Press, Newsweek and Juxtapoz to name a few.